iSauna Team wishes You Happy Easter! 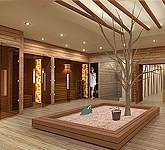 Saunas of western quality from the Hungarian iSauna sauna manufacturer. 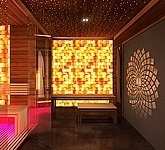 Free 3D sauna planning - Ask for our offer today! 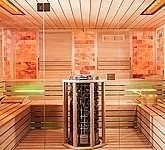 Enjoy private wellness - recharge your batteries in your own sauna every day! Contact iSauna manufacture and get up to 30-40% price advantage now! 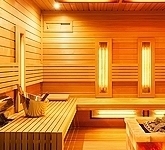 Make your dream about designing your own sauna come true, choose the top quality directly from the manufacturer! 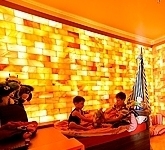 The main activities of the iSauna Sauna Manufacture are producing and setting up of individual wellness saunas, combined saunas, infrared saunas, Finnish saunas, steam saunas, outdoor saunas, sauna houses, Himalayan salt cabins, salt saunas, salt cabins for kindergartens, entire manufacturing according to your dreams. 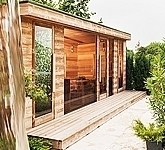 A custom-built premium sauna house can be a real gem of your garden and house. 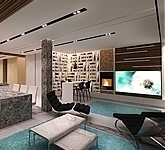 Each square meter provides four services: Himalayan salt cabin, infrared sauna, Finnish sauna and steam sauna at the same time. Thus, you can save money and time. As our company is seeking to fulfill all the requirements of our customers, we exclusively use top quality raw materials. 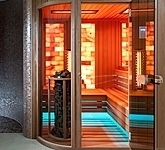 Function and design are the main characteristics of our products; therefore, iSauna saunas provide a health-saver effect, special wellness sauna experiences and the opportunity of pleasant relaxation at the same time. 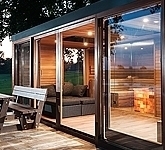 Our production technology makes it possible to manufacture saunas by individual requests of our customers; it can either be a salt sauna, salt cave or even a mobile salt cabin. 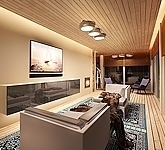 Construction and design of new modern holiday homes, sauna houses on the basis of unique ideas!